I would have loved to have seen it, but even I think this is too big for a last-minute trip! 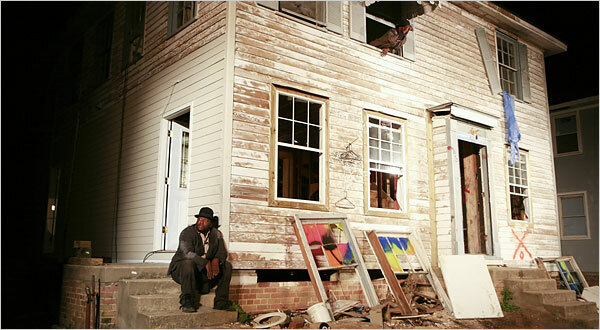 It’s a performance of Beckett’s Waiting for Godot, but set in the aftermath of Hurricane Katrina. Some of you might also be interested in this play as a way of understanding the notion of site specificity, which I have talked to several of you about in office hours. Finally, thanks to Joe for this article, which, as he points out on one of the class blogs, speaks to several of the themes that are culminating for us at the end of the semester.